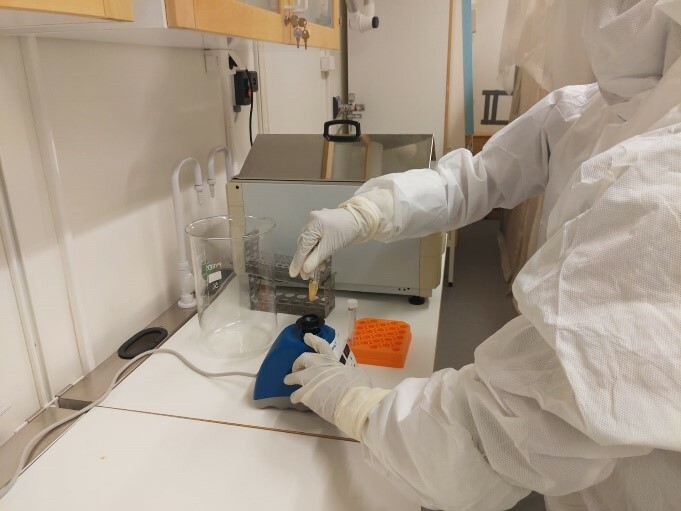 GAS researchers are now implementing the activities required to comply with the planetary protection protocols recommended by the European Cooperation for Space Standardization protocol of microbial examination of flight hardware (ECSS-Q-ST-70-55C). 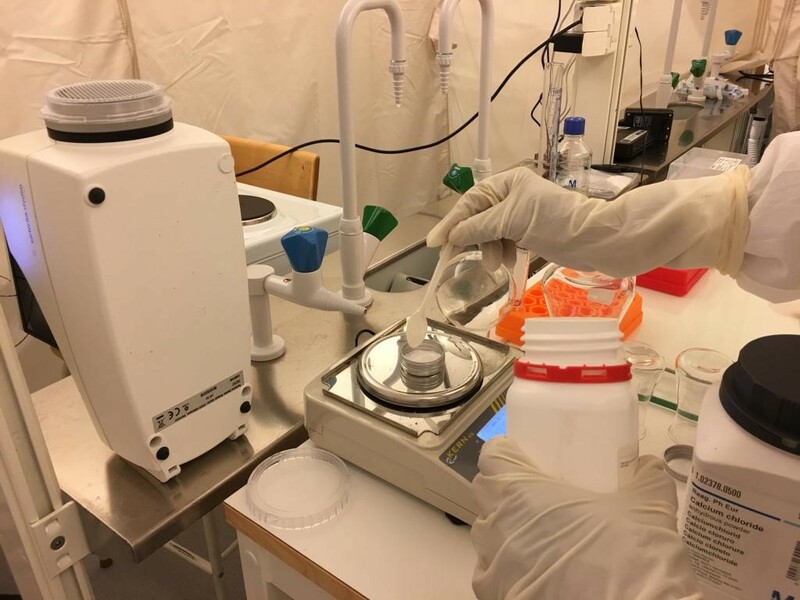 During the last months we have worked on the selection of the final salts and products configuration of BOTTLE experiment as a part of the HABIT instrument. 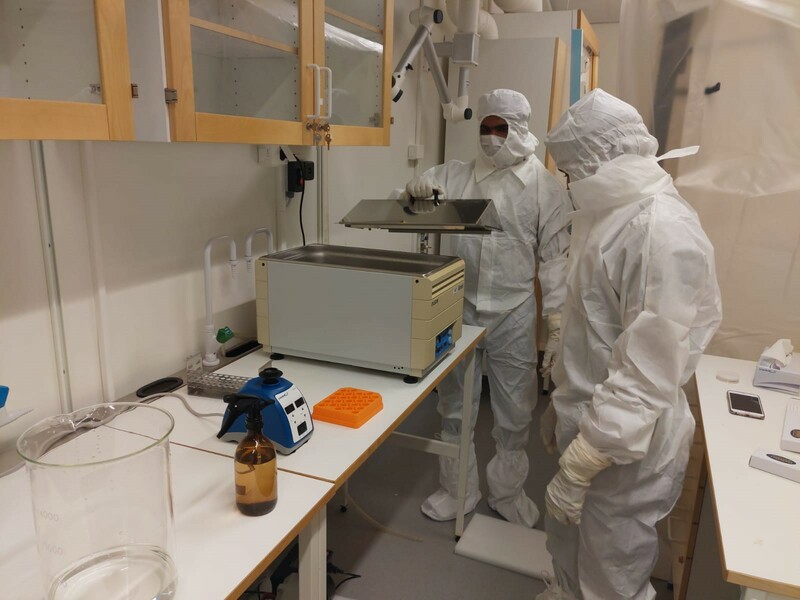 We have verified them with a series of Mars analogue experiments in Kiruna. 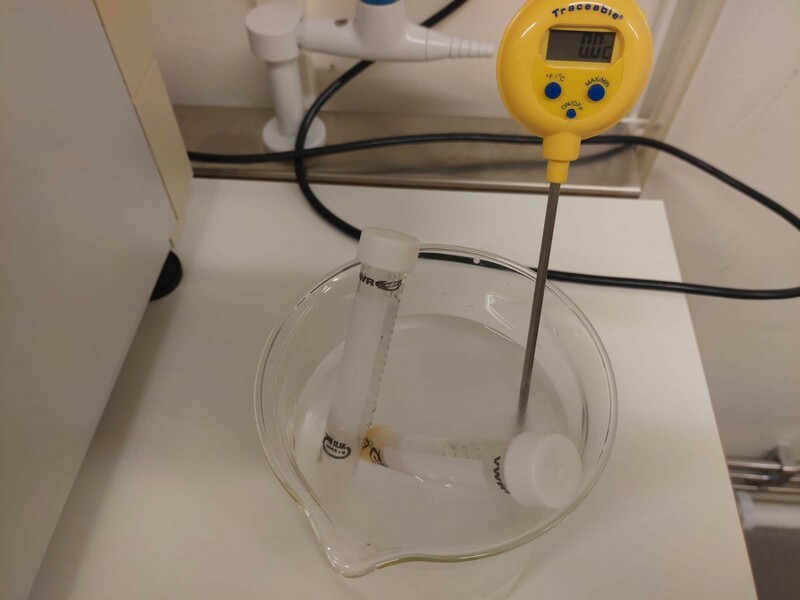 The research team is now defining the final sterilization procedures required for the salts and products for bioburden reduction and methods to efficiently analyze the effectiveness of those procedures. 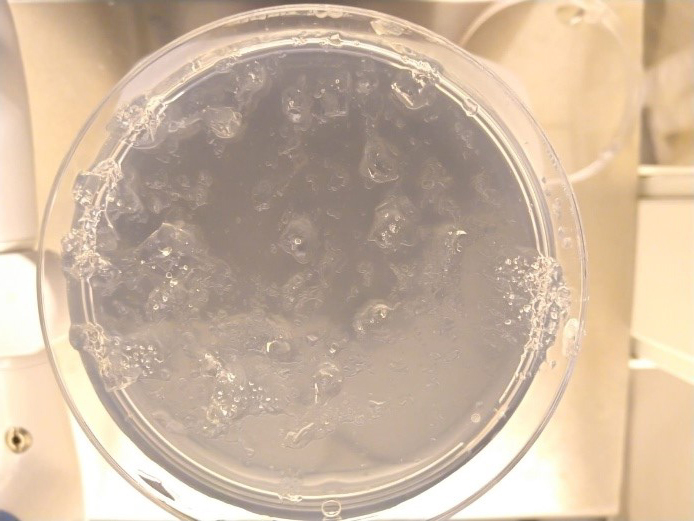 The HABIT PP team consists of GAS PhD students including Thasshwin Mathanlal, Abhilash Vakkada Ramachandran and Miracle Israel Nazarious, and supervised by Prof. Javier Martin-Torres and Prof. Maria-Paz Zorzano. 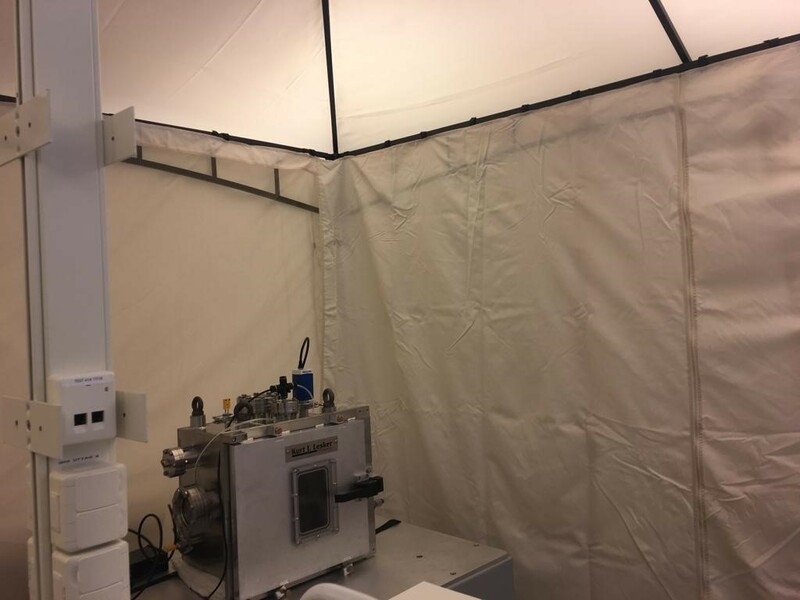 As a first step, the working area was isolated from the rest of the laboratory within an isolation tent which was clean with iso-propyl alcohol and a HEPA filter enabled air purifier. 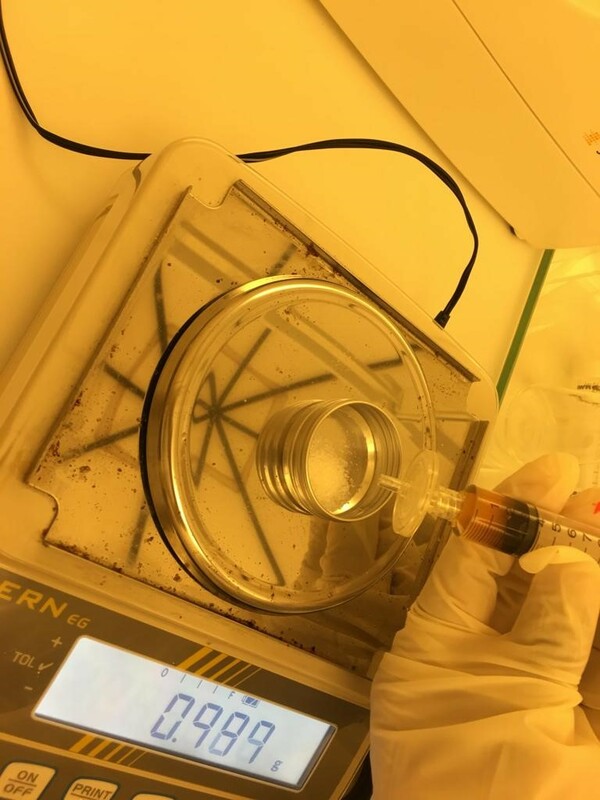 The studies of the air contamination with a portable Air-Sampler from Sartorious to monitor the improved cleaning level of the tent. 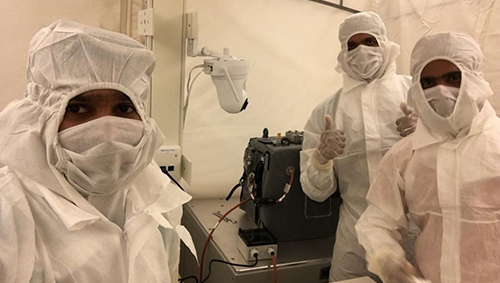 The GAS PhD students who worked in the clean isolation tent, followed a standard cleanroom suiting garment procedure to avoid external contamination to the experiments. 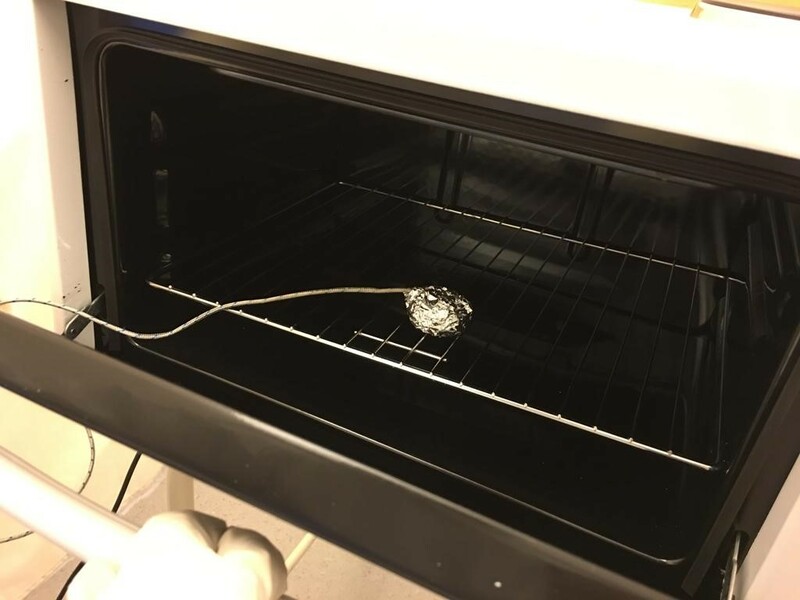 Several experiments were performed by sterilizing the salts and products following the standard procedure for sterilization called Dry Heat Microbial Reduction (DHMR) in a portable oven. 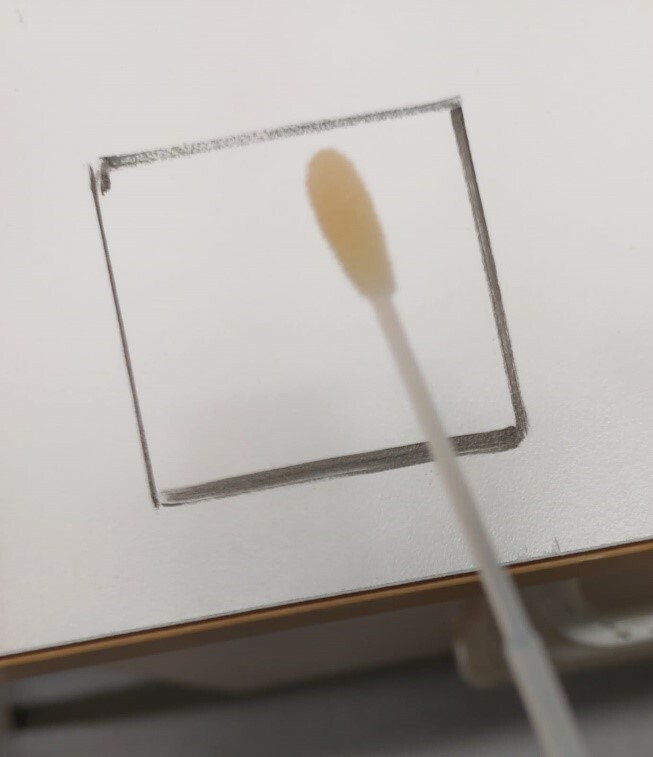 These samples were then swabbed using flocked nylon swabs and followed a series of procedures. 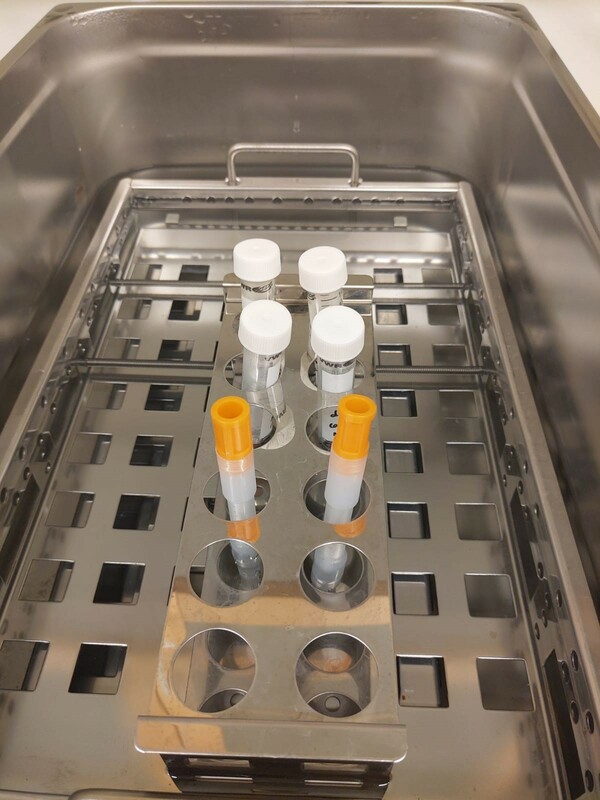 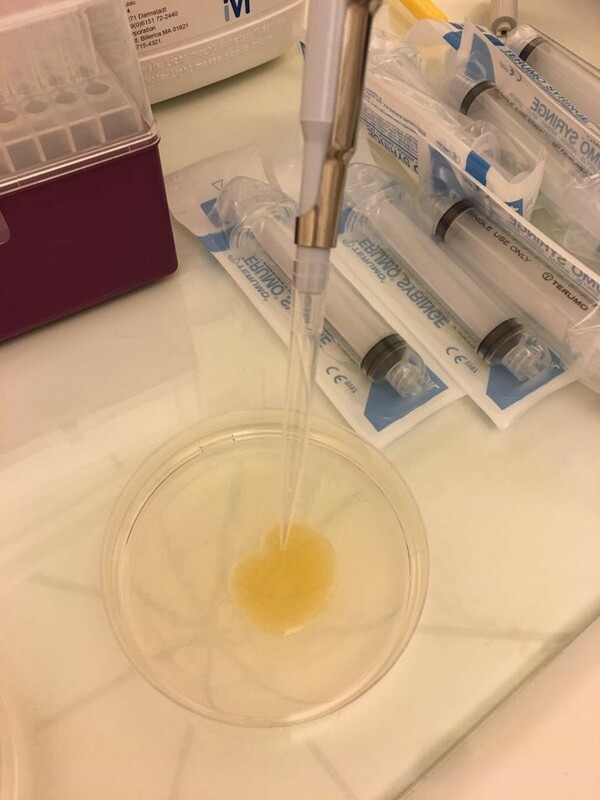 For control experiments, a set of non-sterilized samples were also incubated. 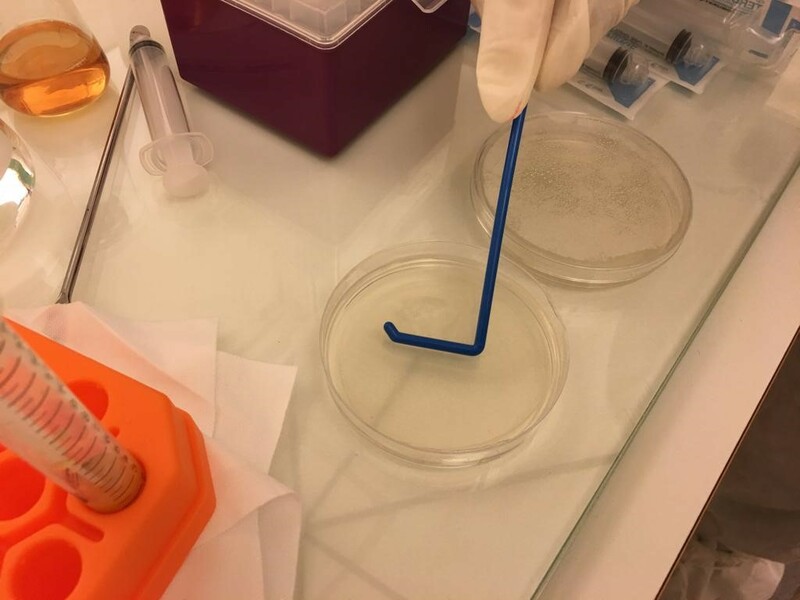 From left to right: i) Swabbing a dirty area outside the isolation tent with Flocked nylon swabs for control, ii) Swabbing the salt product. 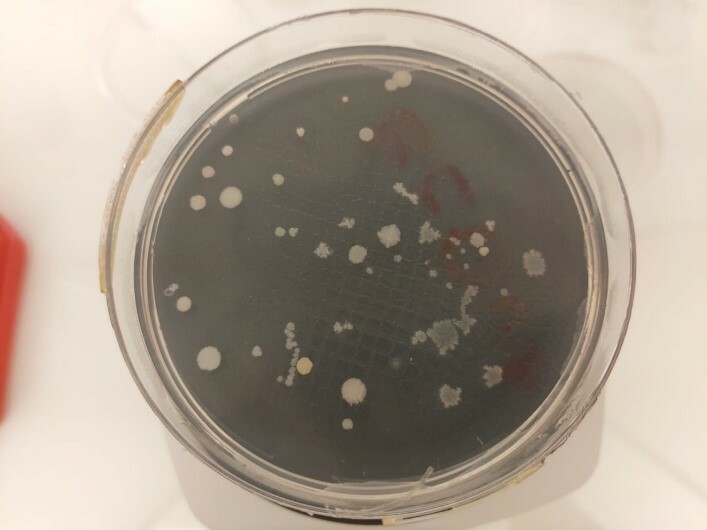 From left to rigth: i) Swabbed samples outside isolation tent, ii) swabbed samples inside the isolation tent before cleaning with isopropyl alcohol, iii) swabbed samples inside the isolation tent after cleaning. 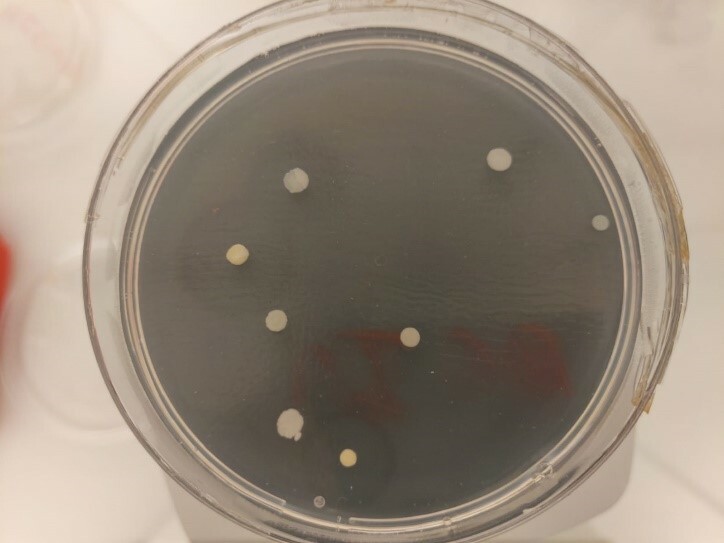 These pictures were taken after 72 hours from the start of incubation, showing significant difference in the number of microbial colonies. 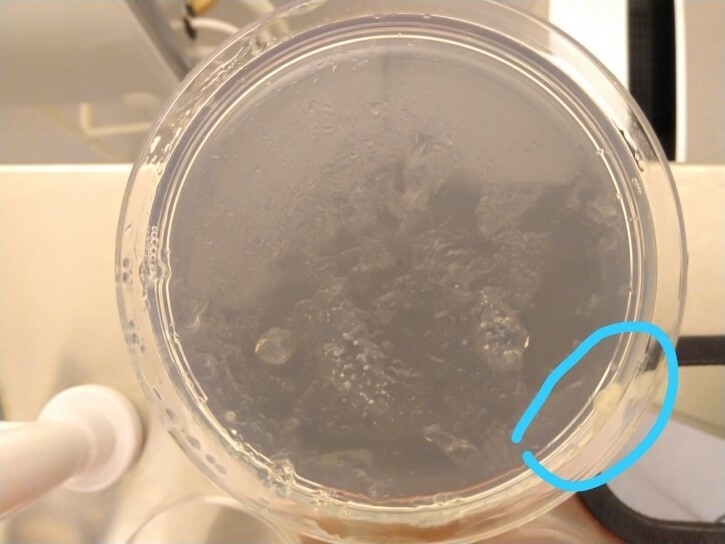 There was no visible colony seen in the samples after cleaning. 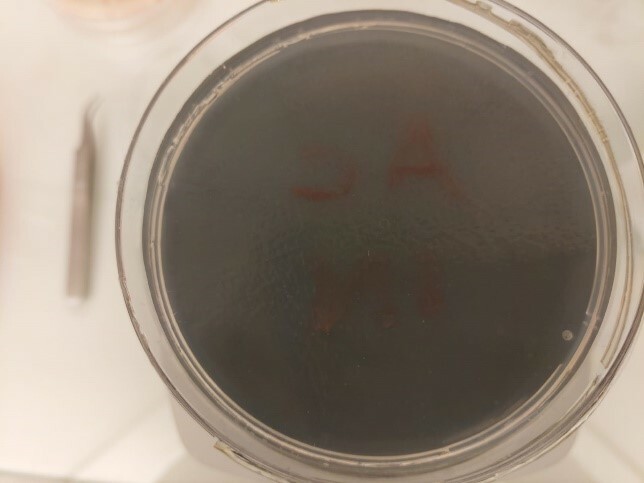 From left to right: i) Sample without DHMR showing some microbial colonies circled, ii) samples after DHMR showing no visible colony proving the effectiveness of the procedure. 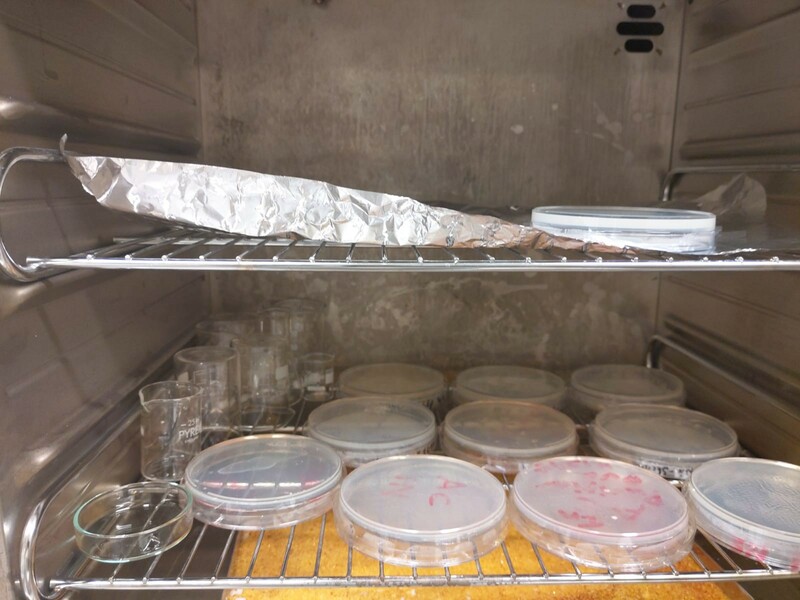 The pictures were taken after 24 hours from the start of incubation. 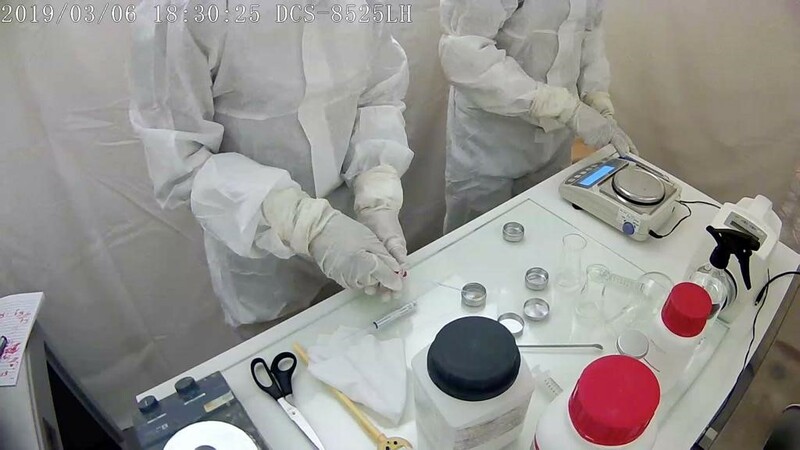 Now, the team is covering “the last mile” of the tests, fine-tuning the procedures with support from DLR in Cologne and Dr. Petra Redberg, co-I of HABIT and expert on Planetary Protection. 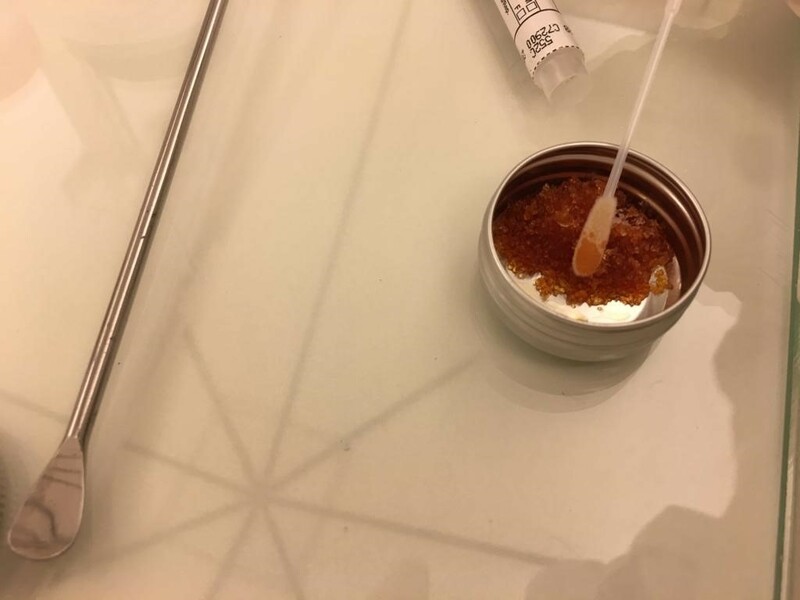 All this complex experience will be explained in detail in an abstract describing the planetary protection procedures for HABIT BOTTLE salts and products for the 70th International Astronautical Congress to be held in Washington D. C. this October.